HONOLULU (HawaiiNewsNow) - Rejoice! The trade winds are slowly returning, but sadly not for long. The trade winds will subside and the weather will turn drier by mid-week. The remnants of tropical storm Ela continues to move to the west away from the main Hawaiian Islands. As Ela moves away, a band of showery low clouds is moving over the islands. This band of clouds is the lingering low level moisture which was expected to clear the islands Monday afternoon. 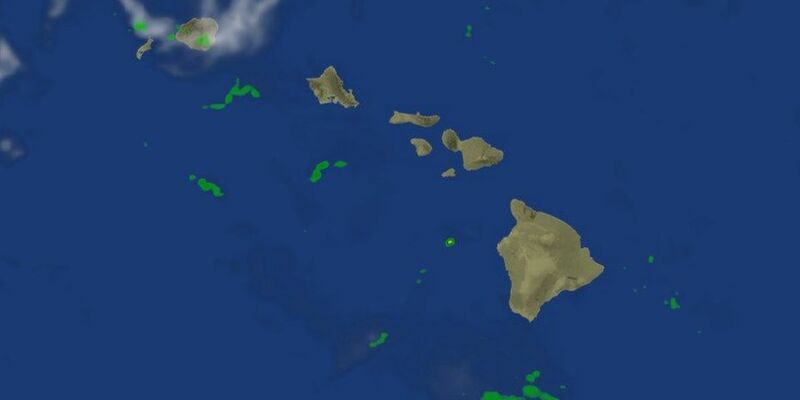 According to the National Weather Service, high pressure north of the islands will bring moderate trades to the islands Monday, and Tuesday, focusing shower activity over the windward and mauka areas. Weather models show that pressure system will be moving away to the northeast through Thursday taking with it the trade winds. On Friday, can expect an increase in showers. Stronger trade winds are expected to push in over the weekend behind this shower band.